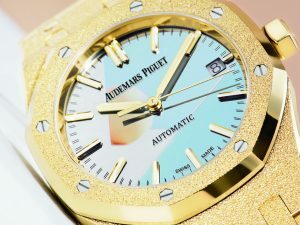 The London-based Italian jewellery designer has just launched her most spellbinding timepiece with Swiss watch manufacturer, Audemars Piguet. Crafted from finely-hammered yellow gold and a mirrored dial, the Carolina Bucci Royal Oak timepiece sparkles – just like the modern women of the 21st-century. 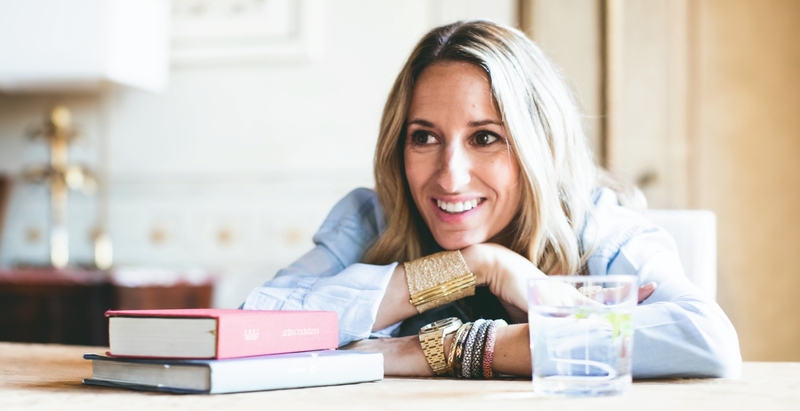 Here, discover five things to know about the 42-year old spearheading age-old Florentine techniques into the 21st-century. 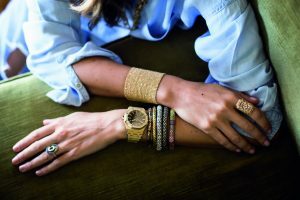 #2: She is a fourth-generation of Florentine jewellers, whose great-grandfather once specialized in crafting bespoke chain bracelets for exquisite watches. #3: Her age-old Florentine technique turns precious gold into dazzling works of art. #4: She believes that jewellery shouldn’t only be worn for special occasions. #5: Carolina’s favourite precious metal? Yellow gold. Get ready to pucker up as Astute Clinic’s Luscious Lips treatment gives you a fuller pout.